If you're like most Americans, you're concerned about retirement. To help ensure you have a strategy in place to address some of those concerns, you may find it helpful to work with someone with experience. Using life insurance and fixed annuities can help solidify your retirement strategy with valuable protection and guarantees. Using investments3 can offer high potential returns and inflation protection to enhance your retirement strategy. We can help you take the complexities out of retirement planning by finding the appropriate solution to meet your needs. Are any of your retirement savings protected from the volatility of the stock market? We can help you discover accumulation and various income options with 100% guarantee of your principle against market volatility. You're probably familiar with life insurance, and the importance of the death benefit that it provides. If you pass away during retirement, the death benefit can be used to help fund your spouse's retirement goals, help replace lost social security income, or other needs. Of course, it can also be used if you pass away prior to retirement. You might not be familiar with the potential benefits that a cash value life insurance policy can provide during your lifetime. Learn how life insurance can be beneficial to your overall plans. While investments don’t offer you guarantees or promises, they can help address inflationary concerns and offer you the opportunity for higher returns than guaranteed products. Let us talk to you about your risk tolerance and choose an approach that fits your needs. 1 Fixed Annuities are designed to meet long-term needs for retirement income. They provide guarantees against the loss of principal and credited interest, and offer the reassurance of a death benefit for your beneficiaries. 2 Keep in mind that most life insurance policies require health underwriting and, in some cases, financial underwriting. For information on how life insurance works, including fees and expenses, please contact our office. 3 KFG is not an investment adviser and therefore does not provide investment advice through this website. 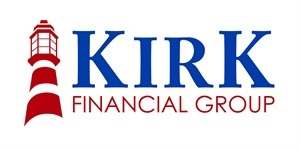 Should you desire to obtain investment advisory services, you may contact our affiliate, Kirk Investment Advisors, LLC (“KIA”), a registered investment adviser. 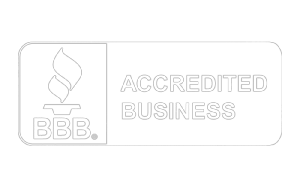 For additional information about KIA, please contact KIA at (410) 381-8007 or by email at [email protected]com.